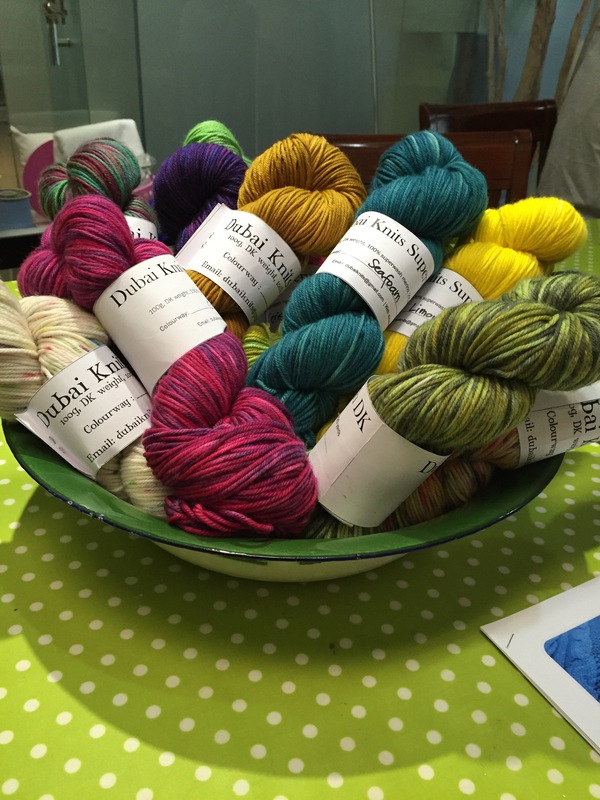 Dubai Knits was pleased to be part of a Knitting Workshop with reMADE DXB. 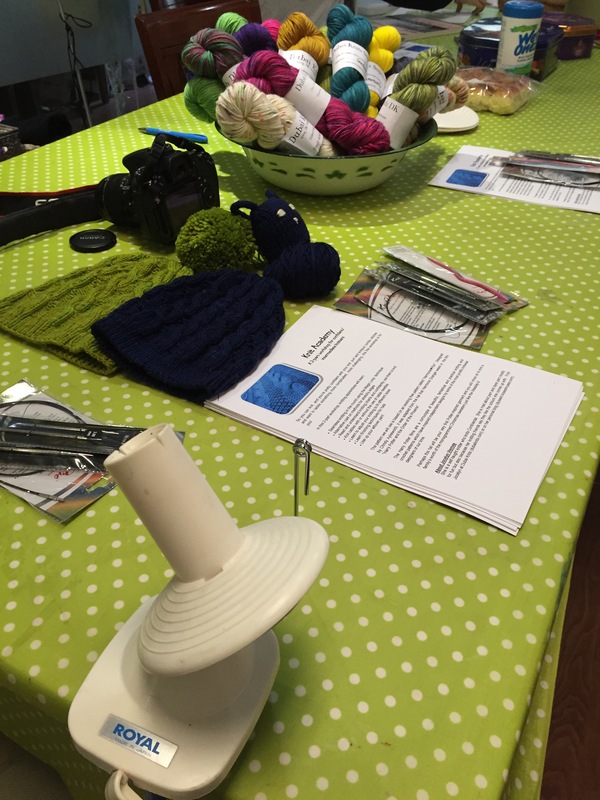 Yesterday was Day 1 of the cable and eyelet hat workshop. The participants each had a choice of one skein from this bowl of Superwash DK, most colourways dyed specially for the workshop. It was a fun group of knitters, including the sewing parlour’s proprietor, Theresa who had a tough time choosing between a grey and a cerise colourway for her hat. She settled for the grey in the end as it would be more practical and would go well with almost any outfit. Kitty chose Masala which is an existing stock; it’s a deep mustard which she says matches yarn in her stash which is similar in colour. Lucy chose Seafoam, which suits her fair skin very nicely and Zoe was the one who put in a request for purple. I had just finished dyeing all the DK skeins by then when Theresa mentioned on WhatsApp that one of the participants wanted purple yarn. Eeek! Panic! Good thing I had a cerise colourways which was light enough to overdye with blue. I think it turned out well too. Day 1 was a bit frantic with everyone making sure they cast on the right number of stitches and then not twisting their join for Magic Loop. It was chaotic but in a controlled way only knitters would understand. For now, everyone’s working on their hats in their own time, we’re on WhatsApp for emergencies and support and encouragement. I have to admire the persistence and the talent of these ladies. Cannot wait for the next session when we try to finish the hats! This is fun. Do you still classes for beginners?